In the time since we started AkarakA we have gone from strength to strength and we now have 157 young people in college and vocational training institutions who would not otherwise have had an opportunity to receive a higher education. We would like to thank everyone for their financial support; it is you who have made their dreams for a better life a reality. Over the next year there are several new initiatives underway. We have the graduation of our first scholars in Manila in 2013. We have also recently expanded into Cambodia supporting ten students there. More scholarships will be awarded January 2013 for Singapore Students. New chapters of AkarakA are in the process of being registered in Toronto, Sydney and Hong Kong. Teams of dedicated volunteers in each city are working hard to establish the AkarakA mission so that our network can expand and more students can receive a college education. 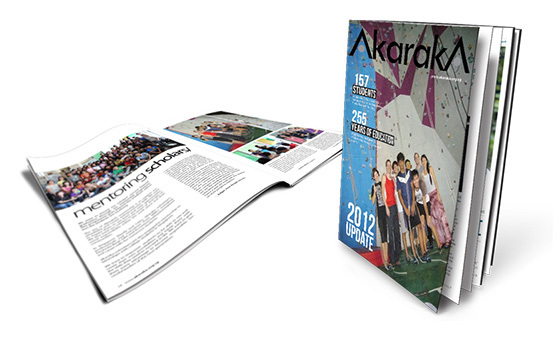 There are now 157 students in Manila, Cebu, Cambodia and Singapore that are benefitting from AkarakA funding. As of December 2012 AkarakA has provided 255 years of education to underprivileged youth. In 2012 we provided our second batch of scholarships to Singapore students. Five new students where funded with another 8 in the pipeline. As of October 2012 we fund 10 provincial students studying at Institute of Technology of Cambodia. We are providing tuition fees & associated costs of study support. Beginning July 2012 we provided an additional 20 scholarships for students in Cebu. We are providing tuition fees & associated costs of study support. Beginning July 2012 we provided tuition fee support for 30 students taking Heavy Equipment Servicing Certification course at Monark Foundation. We have delivered presentations, career talks and mentoring held by volunteers – experienced employees and senior executives from MNCs in Manila, Cebu and Singapore.